Mechanical fuel pump cover for big block Chevy, CNC machined and engraved from 6061 Billet Aluminum. 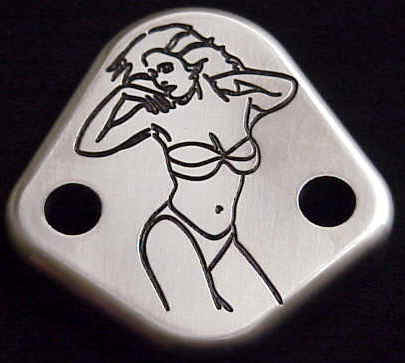 Mechanical fuel pump cover for small block Chevy, CNC machined and engraved from 6061 Billet Aluminum. Alternator Fan & Pulley Fits GM 1967-85. 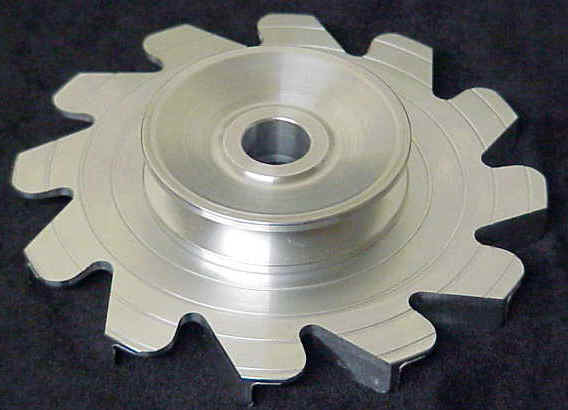 Light weight, low drag, good cooling effects CNC machined from 6061 Billet Aluminum. Thermostat Housing 45 Degree Offset - Chevy. Marine supercharger application, O-Ring sealed, (2) 3/8 NPT outlets, CNC machined & engraved from 6061 Billet Aluminum. 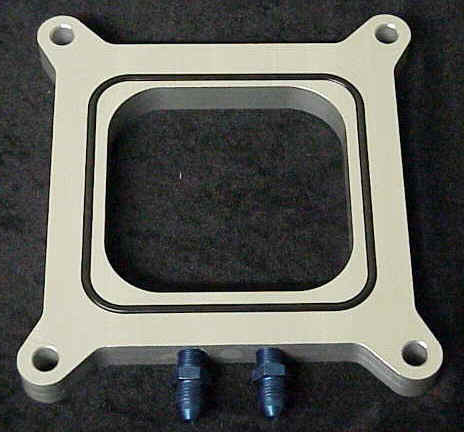 Carburetor Insulator Plate - Holley. Water circulates around inside plate thru (2) 1/8 NPT holes keeping heat away from carburetor. Holley's Performance Engineers say Anytime you can insulate the carburetor form heat, do it ! keeping fuel from flashing into vapor inside the carburetor, a cooler intake charge increase density of air, this allowing more air-fuel charge. 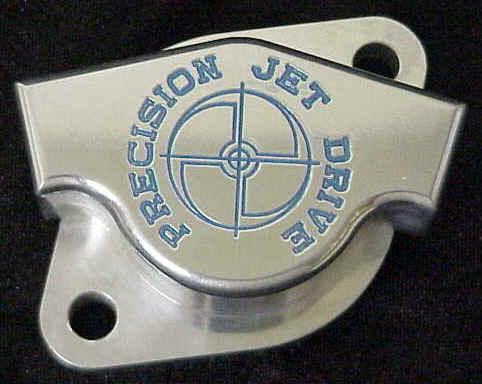 Send mail to Kimball@PrecisionJetDrive.com with questions or comments about this web site. Copyright © 2006 PRECISION JET SYSTEMS LLC.